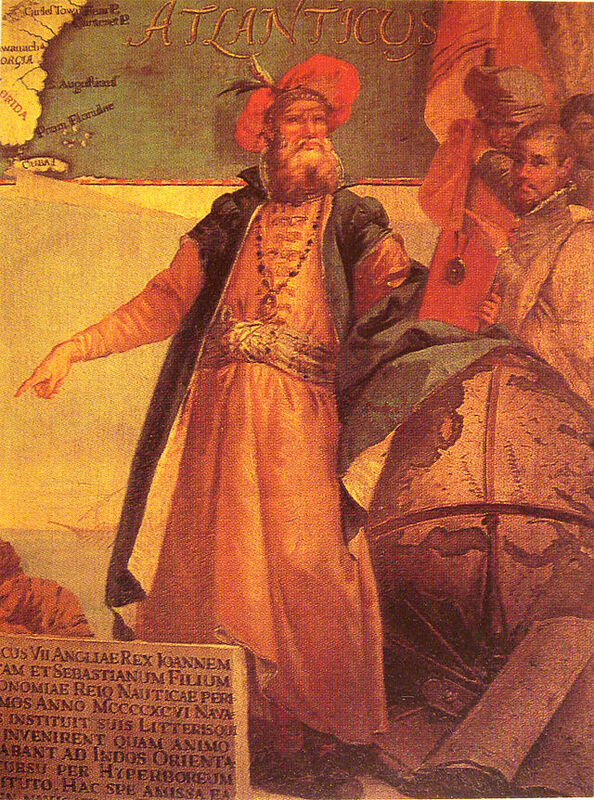 John Cabot (Italian: Giovanni Caboto; c. 1450 – c. 1499) was an Italian navigator and explorer whose 1497 discovery of parts of North America under the commission of Henry VII of England is commonly held to have been the first European encounter with the mainland of North America since the Norse Vikings visits to Vinland in the eleventh century. The official position of the Canadian and British governments is that he landed on the island of Newfoundland. 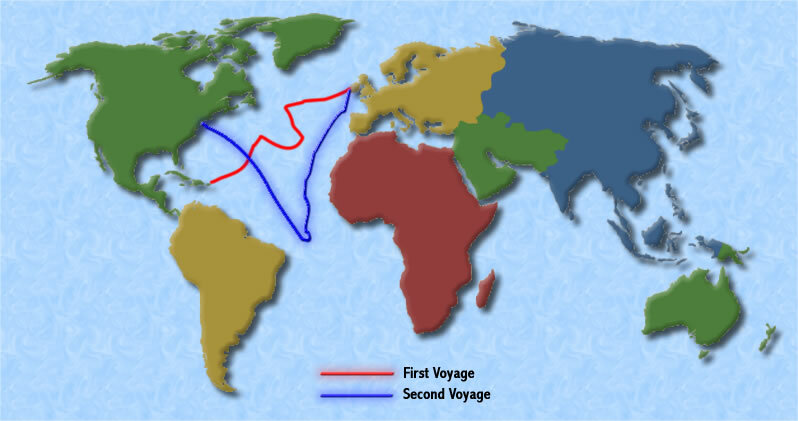 There is very little precise contemporary information about the 1497 voyage. If Cabot kept a log, or made maps of his journey, they have disappeared. What we have as evidence is scanty: a few maps from the first part of the 16th century which appear to contain information obtained from Cabot, and some letters from non-participants reporting second-hand on what had occurred. As a result, there are many conflicting theories and opinions about what actually happened. Modern-day replica of John Cabot’s ship, the Matthew. 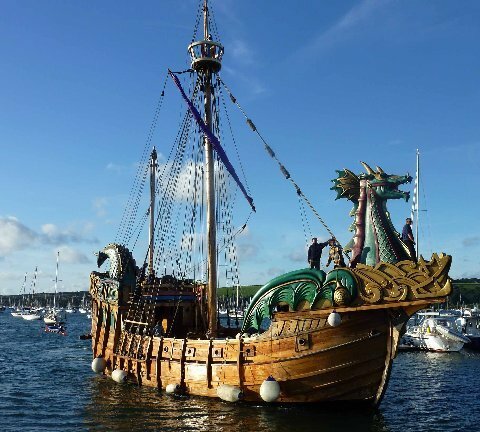 Although there is no contemporary 15th-century depiction of the Matthew, this historical replica was built for the ‘Cabot 500’ anniversary celebrations in Newfoundland during the summer of 1997. This photo shows the Matthew during its call at St. John’s Harbour. Reproduced by permission of Wayne Sturge. Photo ©1997. Cabot’s ship was named the Matthew, almost certainly after his wife Mattea. It was a navicula, meaning a relatively small vessel, of 50toneles – able to carry 50 tons of wine or other cargo. It was decked, with a high sterncastle and three masts. The two forward masts carried square mainsails to propel the vessel forward. The rear mast was rigged with a lateen sail running in the same direction as the keel, which helped the vessel sail into the wind. There were about 20 people on board. Cabot, a Genoese barber (surgeon), a Burgundian, two Bristol merchants, and Bristol sailors. Whether any of Cabot’s sons were members of the crew cannot be verified. The Matthew left Bristol sometime in May, 1497. Some scholars think it was early in the month, others towards the end. It is generally agreed that he would have sailed down the Bristol Channel, across to Ireland, and then north along the west coast of Ireland before turning out to sea. But how far north did he go? Again, it is impossible to be certain. All one can say is that Cabot’s point of departure was somewhere between 51 and 54 degrees north latitude, with most modern scholars favouring a northerly location. The next point of debate is how far Cabot might have drifted to the south during his crossing. Some scholars have argued that ocean currents and magnetic variations affecting his compass could have pulled Cabot far off course. Others think that Cabot could have held approximately to his latitude. In any event, some 35 days after leaving Bristol he sighted land, probably on 24 June. Where was the landfall? Cabot was back in Bristol on 6 August, after a 15 day return crossing. This means that he explored the region for about a month. Where did he go? My list of of interesting books about Canada (to date). Grass Beyond the Mountains: Discovering the Last Great Cattle Frontier on the North American Continent, by Richmond P. Hobson, Jr.
Convoys of World War II: Dangerous Missions on the North Atlantic, by Dorothy Pederson.